Living in a "staged" house is probably one of the most exhausting things I've ever experienced. Do you know about this? Oh, it's basically making a house look like some super freaky Stepford family (that never has dirty laundry or dishes) lives in it. And if you are ever living in a house that's for sale, you better get used to Stepford living real quick! And not only did we sell our house (after it had been on the market for what felt like forever) but we sold it at our FULL ASKING PRICE! That’s right! The buyers didn’t even want to negotiate! 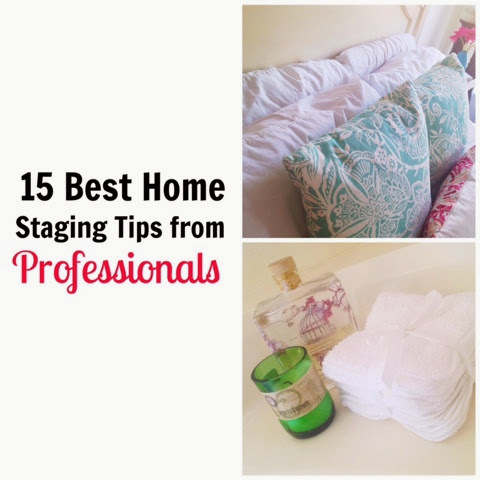 So today, I thought I'd share some of my favorite staging tips that I've learned along the way. I truly believe that, if I had known *these* things from the beginning, we would have sold it a LONG time ago)! And best of all? Your house doesn’t have to be "for sale" to try them! In fact (despite the stress of worrying about someone opening the dishwasher and actually finding dirty dishes) we have thoroughly enjoyed our house SO much more since it’s been “staged"! So here are 15 professional secrets to making your home look and feel a little more like a model home! 1. Mix 1/2 bleach 1/2 water into a spray bottle and spray in bathtubs/showers! I started spraying this after every shower. After a couple of days, it completely got rid of that dark stuff around the corners. Also, start leaving the shower door open after you get out allows it to dry out more quickly... keeping that black stuff from coming back! 2. Pack a "weekender" bag of everyday toiletries and keep it under your sink. Having items already put away makes it SO simple to stage the bathroom quickly... Just throw the whole bag in a closet or your car before the showing! 3. These 6 scents make people want to buy: basil, cedar, green tea, pine, lemon, vanilla. Buy room must or candles in these scents and burn them all day (or as long as you can) before showings! 4. Open windows, turn on ceiling fans and vents for at LEAST 10 minutes before showings! 5. Include these items in every room: Candles, lamps, mirrors, and soft textures. 6. Spray appliances and surfaces with Windex. To make your appliances, counters, and sinks look super shiny after you clean them, go back and spray them again with Windex. This is actually a “secret” cleaning tip that luxury hotels use! 7. Take the screens out of your windows to make them look more clear and beautiful! Only have 3 pieces of furniture in smaller rooms. Only have 6 pieces of furniture in larger rooms. In addition to that, float furniture away from walls and group it together. A room feels bigger when buyers can see all corners and walls of it. 9. Only leave 20% of stuff in closets. Yes, you read that right, get rid of 80% of the stuff in them! At first, this seemed impossible but here is how I eventually did it: I focused on one closet at a time. I took everything out of the closet. For everything I put back into it, I got rid of 4 things. It sounds tragic, I know. But it worked. Closets are the deepest, darkest, secretest part of our homes. They are the holders of all kinds of useless junk and when you take everything out, you see how much of it you can really do without! Hide your personal photographs, your mail, your kids’ names, your friends’ wedding announcements, memorabilia with your favorite team on it, things that reflect your career, your faith, etc. Everything that might remind the buyer that someone they might like (or not like) lives there now. Don’t leave out anything that could distract potential buyers! 11. “You’re not selling your house; you’re selling your kitchen. That’s how important it is”. 12. Buyers make up their minds within the first 15 seconds on your property. FIFTEEN SECONDS! Practice walking up to the front door and into your property and make everything seen within those first seconds look absolutely irresistible! 13. Get more familiar with Feng Shui. Whether you believe in “energy flow” or not, Feng Shui is still a great way to balance out the colors/textures inside the house. Think about how you feel when you go to a spa or yoga studio. You get the feeling that it’s a calm, clean, peaceful, relaxing place, right? Knowing a little about the practice of Feng Shui will make your house feel that way, too! Professional stagers/realtors call this painting everything “contract khaki”. And while it’s not an actual color, it means to paint the walls colors that don’t steal the show: beige, light blue, light green, subtle tan, and white are all examples. We went with Allen + Roth's Bubbly, Morning Jog, and Sunday Times. Whatever you choose, make sure it’s a light color so that the natural sunlight can bounce off the walls! We bought the OXO system at Williams-Sonoma for $100 (Bed, Bath, & Beyond and Target had it for the same price). I think it came with 10 containers and they look absolutely amazing! No more distracting, randomly-sized, randomly-colored boxes in our pantry! Plus, keeping all of the containers well-stocked is good Feng Shui! If you want more uniformity in your pantry but don’t want to spend that much on new containers, Target also sells mason jars with lids in its kitchenware area for about $20-30 (depending on the size). It would give the same organized feel but cost a lot less! The one thing that we did differently the day that we sold it was go get a twin air mattress, sheet, comforter, and pillows from Wal-Mart and create a faux-bed in a bed-less bedroom. We put it up on some storage bins and covered them with a bedskirt. I am 99% sure this is what finally made the difference. "Do we really need to do all these things to prove that our house is great?" YES! NEVER EXPECT BUYERS TO USE THEIR IMAGINATIONS! Do you have a house for sale? Or did you recently buy/sell one? What kind of advice could you add to this (there is still a ton!)? Don’t you think some of these tricks are just great for your own home? I know we’ll certainly use some of them forever! 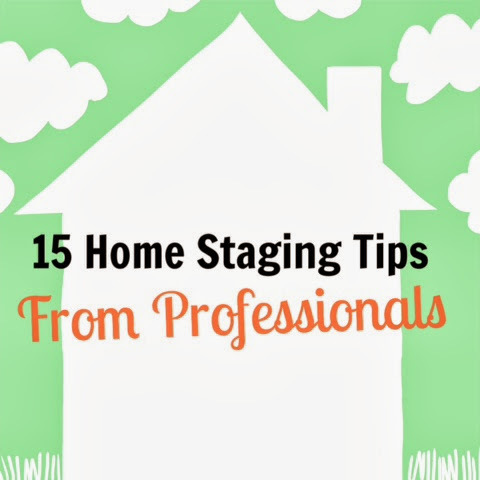 Staging is a topic that has endless information! 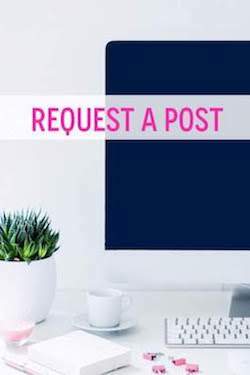 If you are looking for cleaning systems, curb appeal inspiration, furniture arrangements, or paint color ideas, check out my Staging Pinterest board.